Is The “Infinite” JTX Cyclo Studio Indoor Cycle That Impressive? The JTX Cyclo Studio Indoor Cycle looks like another example of an at-home spin bike trying to replicate those in the studio. It is a good looking machine with a strong steel frame, adjustable parts and the promise of a tough, smooth workout. Users can alter the ride as needed with the infinite resistance and track progress with the console. Is it all as impressive as buyers hope for? 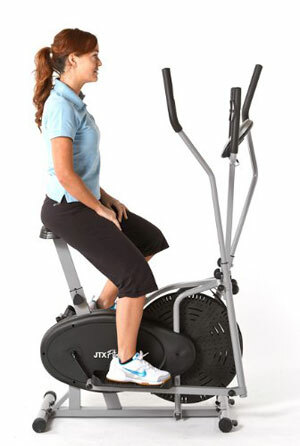 Does The JTX 2-In-1 Cross Trainer and Exercise Bike Provide A Varied, Beneficial Workout? The JTX 2-In-1 Cross Trainer Bike is no longer available. You can check newer models at JTX Fitness here. 2-in-1 cross trainer bikes are meant to offer greater options for at-home fitness regimes and that is precisely what is promised with the JTX 2-In-1 Cross Trainer and Exercise Bike. This cross trainer/bike has a 4 kg flywheel to create resistance for both elements and has been created with basic fitness and weight loss goals in mind. To aid this, there are also pulse sensors in the hand grips so that heart rate data can be viewed on the LCD screen, along with readings on time, speed and distance. Does this product do enough for the average user? Is The JTX Cyclo-5R Recumbent Exercise Bike Really Motivational And Appealing To Less-Able Users? The JTX Cyclo-5R Recumbent Exercise Bike is a recumbent bike that stands out from some other models for its promise of being “packed full of comfort and motivation features”. Which suggests it has been designed more for the struggling user than the fitness fan. The specification is far more focused on the stability of the bike, its ergonomic features, adjustable seat and range of programmes than any of the fancier features. Can The “Feature Packed” JTX Cyclo-5 Exercise Bike Offer The Superior Quality Advertised? With it great range of programs, including heart rate and fat burner options, a 9kg flywheel and 16 levels of resistance, the JTX Cyclo-5 Programmable Upright Gym Exercise Bike looks great from the start; however, its creators insist it can do a lot more. 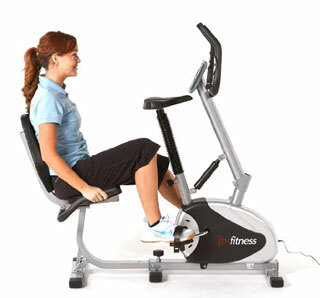 JTX says that this is a “feature packed indoor exercise bike” that offers “superior heavy-duty build quality”. This is the kind of statement to really bring in consumers wanting the very best in home gym equipment but does it live up to this promise? 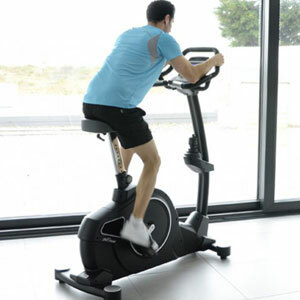 Does The ‘Combo’ Aspect Of The JTX Cyclo-2 Combo Exercise Bike Really Work? 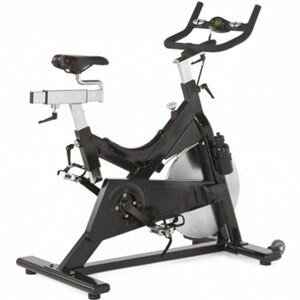 The JTX Cyclo-2 Combo Exercise Bike is no longer available. You can check newer models at JTX Fitness here. There are many different exercise bikes on the market that are designed with basic functions for everyday home use but the JTX Cyclo-2 Combo Upright and Recumbent Bike goes a step further by adding the potential of recumbent cycling to a standard, upright model. Additional features on this bike are the 16 digital resistance levels, a series of programs for exercise and ‘target heart rate’ and a display that shows time, distance and calories burned. Is this JTX Fitness product a better model for having this recumbent option?